Hi friends! Happy Thanksgiving! 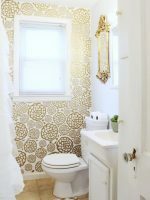 We are so excited to be sharing the guest room makeover with you. 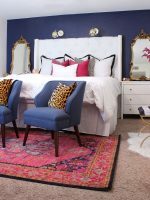 We partnered with Pier 1 to create a space for our guests. So in our home, my oldest son’s room doubles as our guest room. He LOVES volunteering his room (after he’s shown it off and given a full tour, of course) to our guests and he sleeps on our pull-out sleeper sofa. 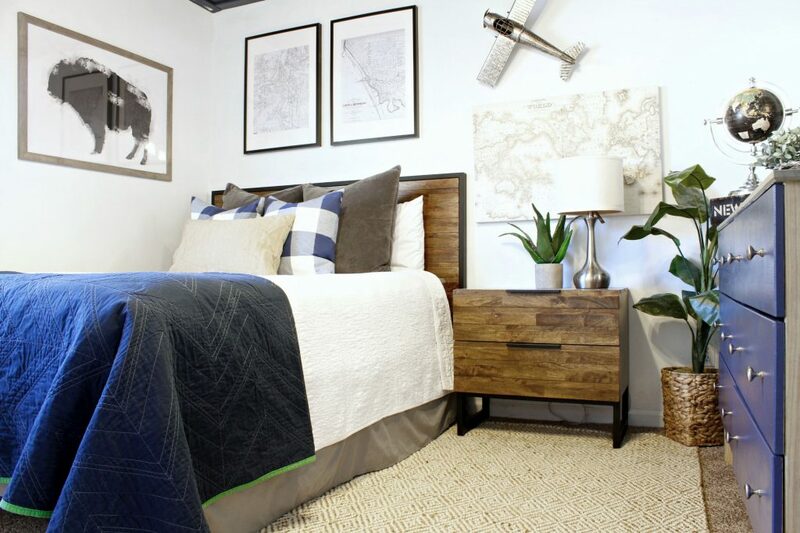 With that in mind, we wanted this space to be something he could be proud of but also neutral enough to fill its guest room roll. 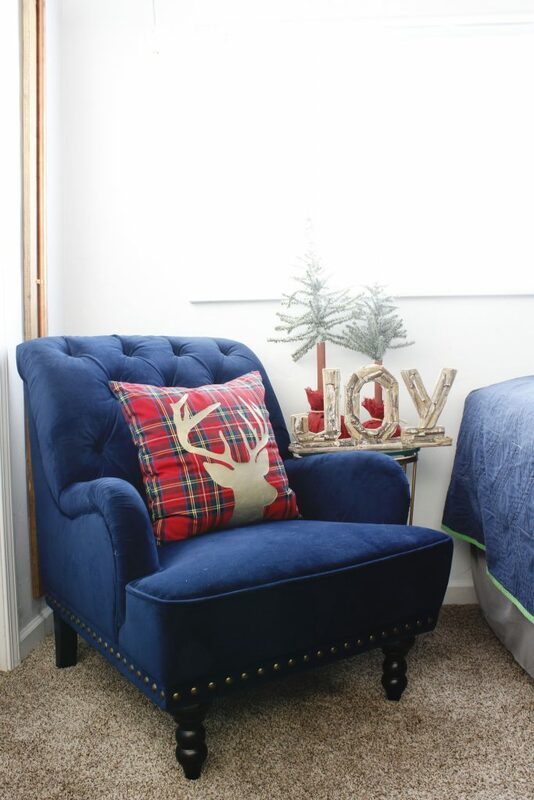 We plan on having my husband’s side of the family over for the holidays so we wanted a space that they could enjoy. They are in the airline industry so this room is so perfect for them. 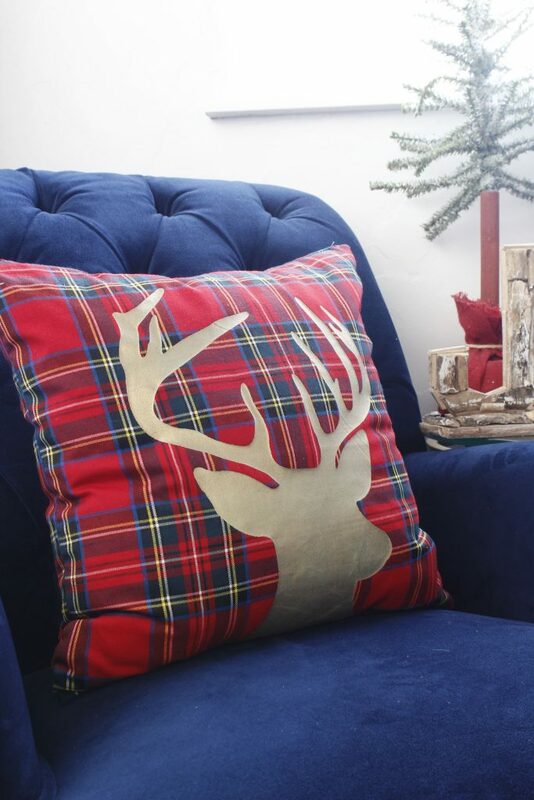 We also wanted a little bit of a holiday feel so we added a few fun pieces to make it really feel like those finishing touches were made especially for their visit. We chose this amazing Pierce Java Headboard and matching Pierce Java Bedtime Chest. I love the warmth it brings into the space. The whole Pierce Java collection is great because it works for children and adults! 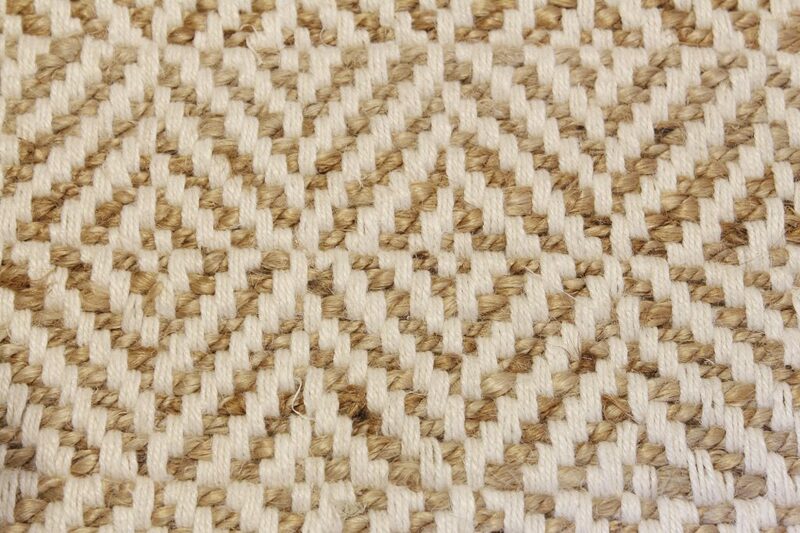 We also got this got this beautiful Diamond Jute Natural rug. I am absolutely in love with it! It’s jute and surprisingly soft. 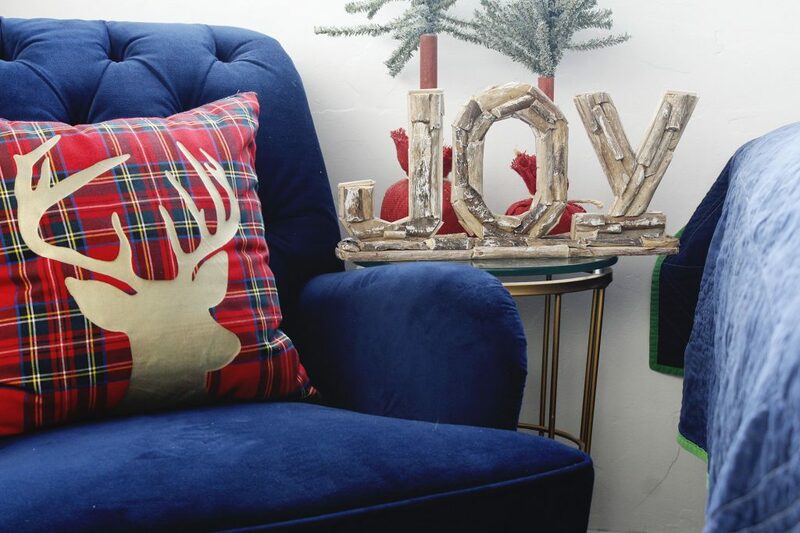 We added a little holiday flair with this Plaid Gold Foiled Reindeer Pillow, two Faux Snowy Spruce Trees and this darling Driftwood JOY sign. 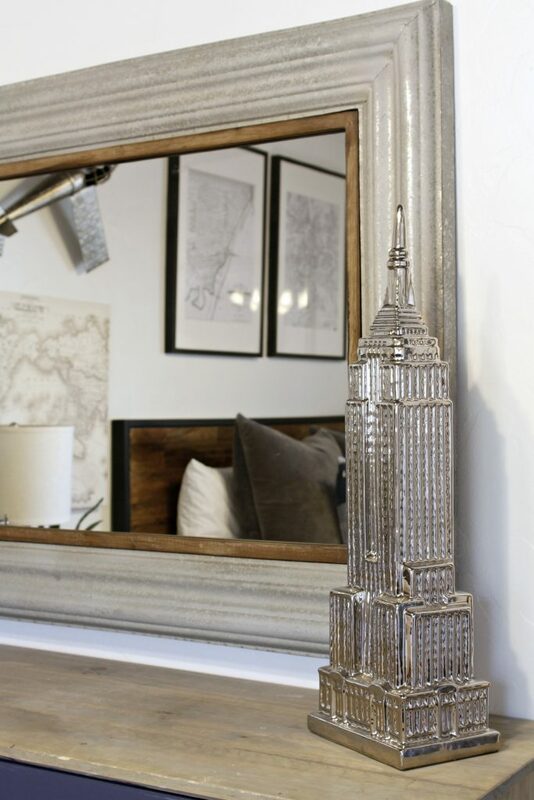 We picked out this Galvanized Metal mirror for above the dresser and its my favorite part of the room! The metal and wood combination is so gorgeous! 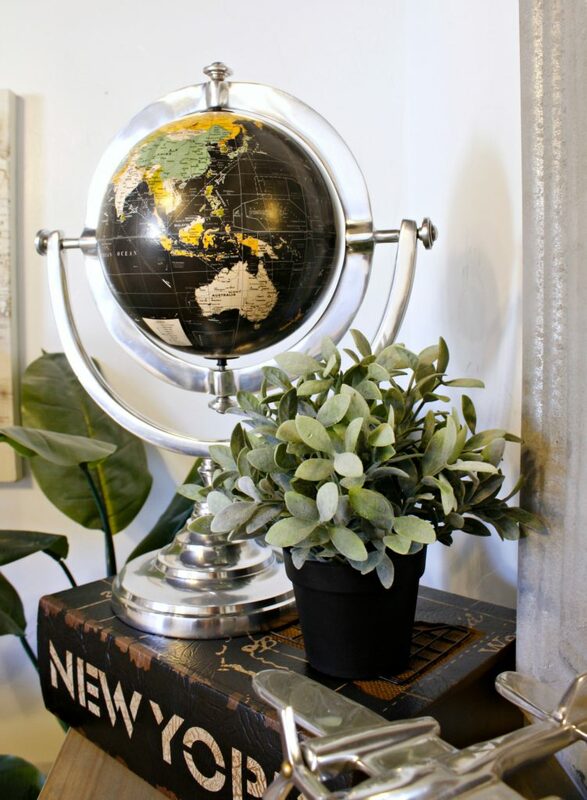 We picked out some travel inspired decor including this Armillary Globe on Stand and the Metal Clock with Airplane. I am so in love with this piece that my son picked out. We used to live in New York and he picked out this Silver Ceramic Empire State Building. 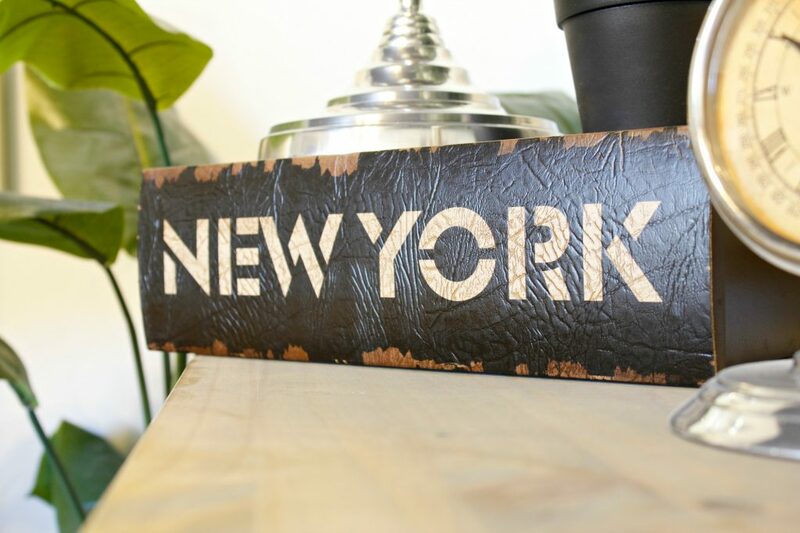 We also love the New York Book Box to hide away little items or to store items for guests. We hope you’ve enjoyed our tour through our guest room. We are so excited to have it ready just in time for our holiday guests! Yay! My mother in law has already stayed the night in here, just days after we finished the space! We are so glad it’s going to good use already. 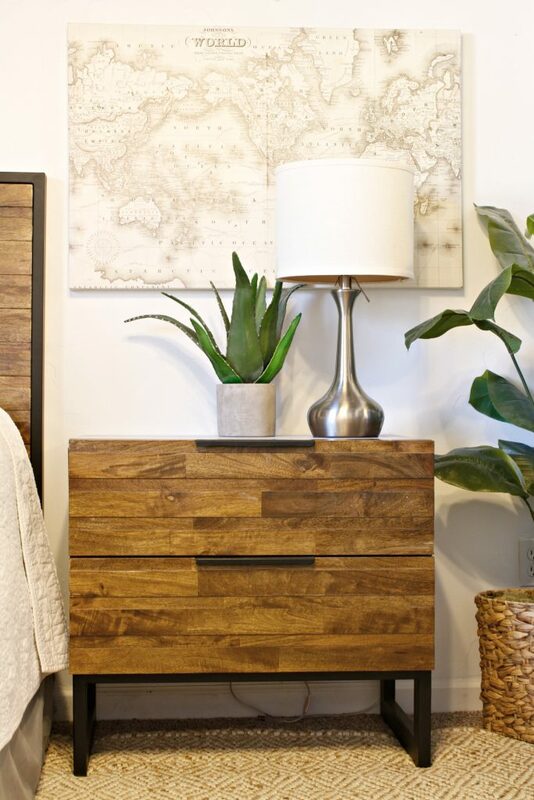 Be sure to check out Pier 1 when you’re planning and decorating your home! Right now, ALL Christmas is on sale for 30% off from 11/24 – 11/28! 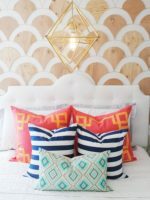 I’ve been eyeing this headboard! What kind of bed frame do you have with it? 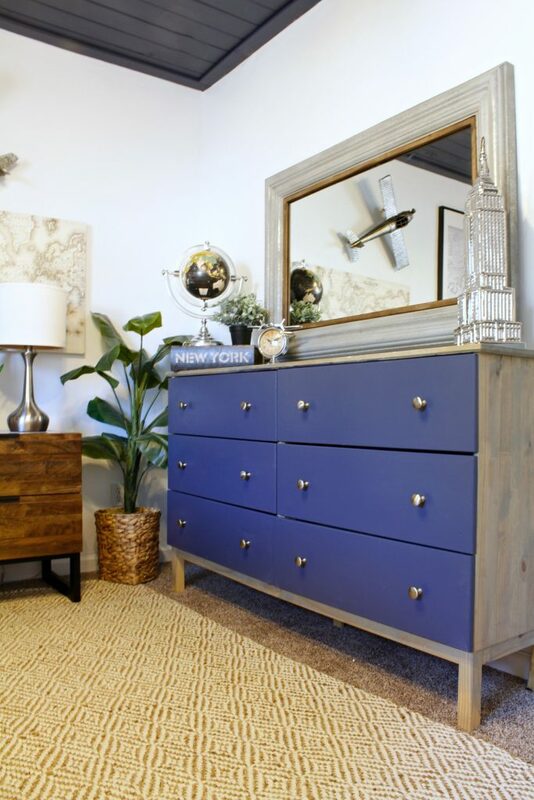 Where is the blue dresser from? Love the blue dresser, where did you find it?? 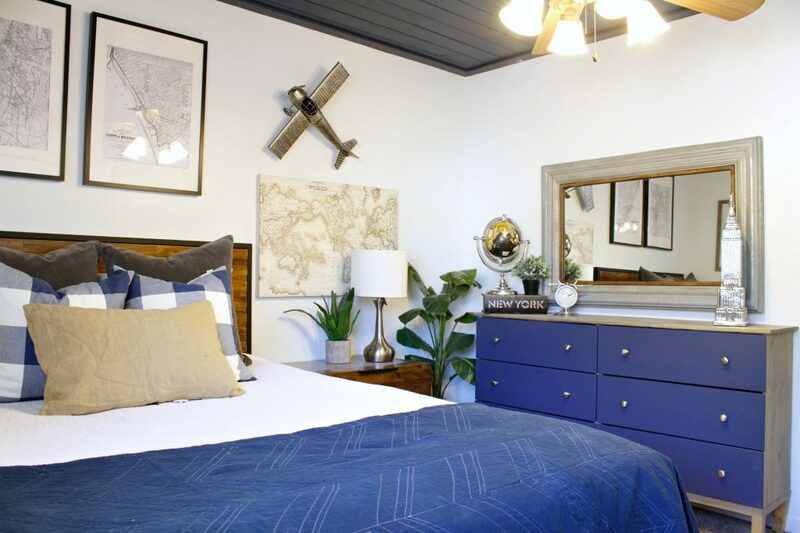 what paint color did you use on the dresser?